Analyzing primary sources vastly expands students’ understanding of important historical events, while also promoting the development of high-level critical thinking skills. MDA presents students with a simple and effective 3-step approach to extract information from primary and secondary source documents so that they can make a deep and meaningful connection with the past. Guided examples in each lesson give students a hands-on demonstration for every type of historical document. Tony’s relaxed tone and engaging anecdotes make a daunting task less intimidating and never boring. Individual lessons directly address 20 different document types so students develop a complete foundation of this valuable skill. 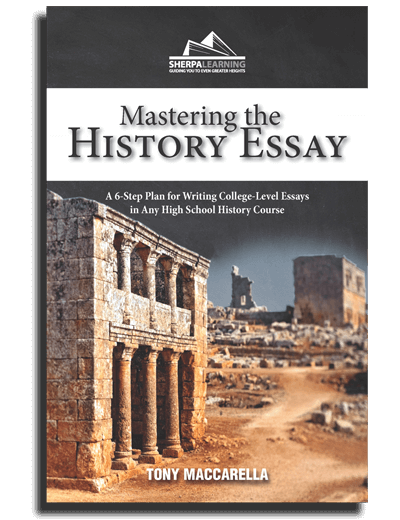 Did you know that students in all 3 AP history courses struggled with short-answer questions involving a secondary source, and less than 15% were able to earn all 3 evidence points on the DBQ? MDA will give your students the tools they need to think through any type of source, glean what matters, develop a contextual understanding, and assess the source as historical evidence. Plus, MDA is designed to work in any high school history course. Order your class set today and give your students the skills to stand out from the crowd.